The Liberal and Progressive Conservatives are promising to give women potentially life-saving information in the form of an additional line on a mammogram report about breast density. The Liberals and Progressive Conservatives are promising to give women potentially life-saving information in the form of an additional line about breast density on their mammogram reports. The two parties made similar campaign promises on Friday. The Liberals said if the party is re-elected, family doctors and patients will always have breast density information given to them following mammograms. 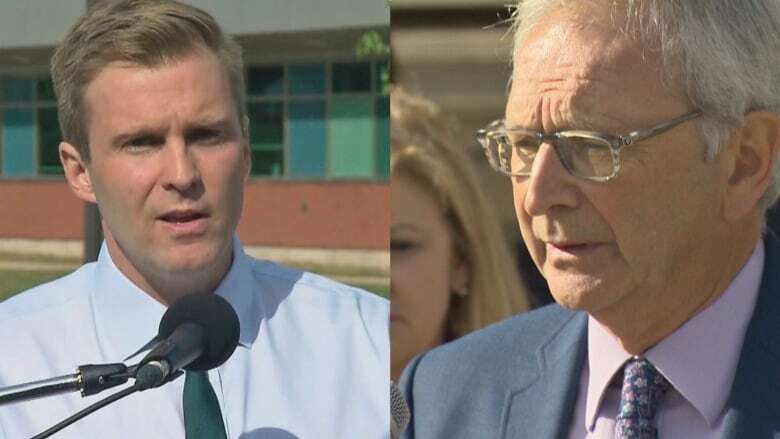 Liberal Leader Brian Gallant said information on breast density would be added to medical reports, and letters would be mailed to women along with their mammogram results. The Progressive Conservatives unveiled several women's health initiatives on Friday in front of the New Brunswick Legislative Building. PC Leader Blaine Higgs said his party would make it mandatory for doctors and nurse practitioners to inform patients when mammogram results show they have dense breasts. In New Brunswick, breast cancer survivor Kathy Kaufield started an online campaign to raise awareness and encourage women to lobby the province to include information about breast density on each mammogram. She expressed pride in both leaders after the announcements were made. "Thank you Brian Gallant and Blaine Higgs for listening and for making this commitment," she said. "This is the right thing to do." Kaufield said she cried tears of joy when she heard the news. "I think this is going to save women's lives and I hope other provinces follow suit." Breasts are made of glandular, fibrous and fatty tissues, according to the American Cancer Society. If more than half the tissue is glandular or fibrous, the breast is considered dense. This density makes it harder to identify cancer on a mammogram. Studies show, the denser the breast, the better the chance of developing cancer. The current protocol does not include informing woman in New Brunswick if they have high density breasts. Studies show mammograms are 97 per cent accurate with fatty breasts. The accuracy drops to about 50 per cent for women in the highest density level. It's estimated that 80,000 New Brunswick women have dense breasts — 18,000 of which are in the highest category.